Sign up for Broadjam today to follow Cerulean, and be notified when they upload new stuff or update their news! 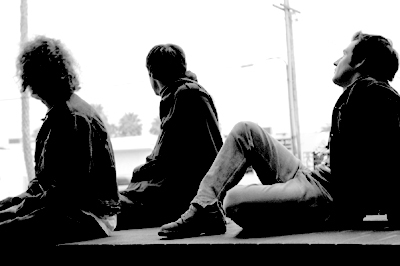 Born in the northeast, based in Los Angeles, the members of Cerulean are familiar with being anomalies. Before joining the band, guitarist Noel Kelly was a signature away from being a fighter pilot, drummer Dave Cerwonka was becoming a mountaineering guide, and singer and guitarist Rick Bolander was doing something with top secret satellites, but won’t go into the details. Cerulean has been compared to the Catherine Wheel, Ride, Echo & The Bunnymen, and post-punk pioneers The Chameleons. An affinity for chiming guitar leads and angular drumming has also raised the occasional nod to early U2. Their penchant for crashing, uptempo hall-tremblers and haunting, atmospheric mood pieces also yielded licenses on some of television’s most critically acclaimed programming (HBO’s 'Six Feet Under'). Constant touring and an incendiary live set that stunned the crowd lucky enough to catch them at CMJ last fall has Cerulean continuing to garner a steadily growing and loyal fan base.